For years I fumbled around with a nice portable boarding ladder, the kind that loops over the toerail and clips into holders on the side deck at the gate. I used to stub my toes on the damn things and that got me to wondering why I didn't board from the stern like a civilized person. 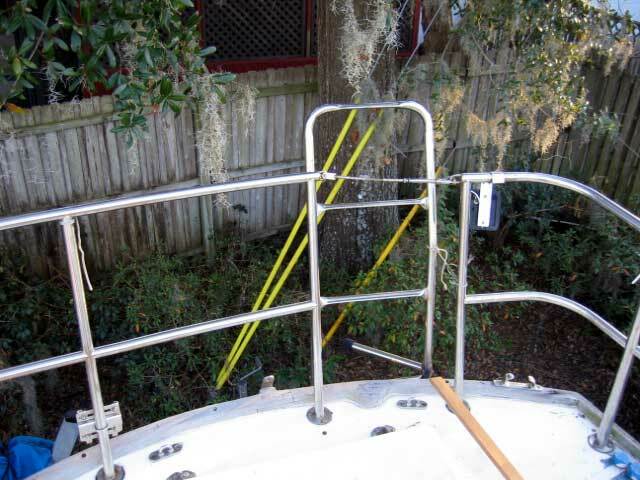 Besides I always had to tie the ladder to the stern rail anyway when I got underway. I admit it's a little narrow, but works really well and no more stubbed toes--well, less stubbed toes. 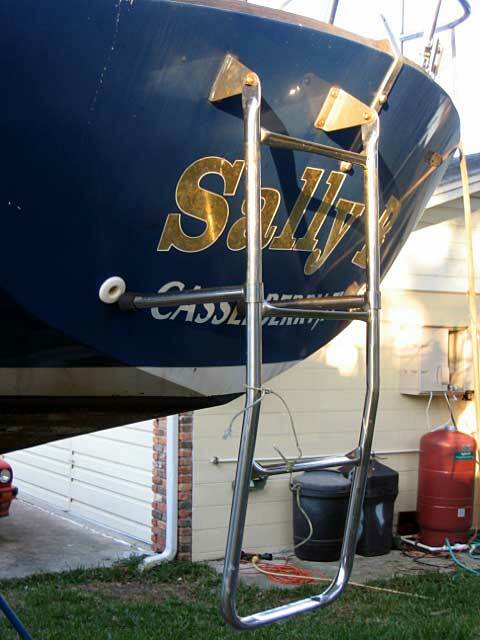 Because of the angle of the stern, the ladder has to stand off a bit. It folds down and the two legs slip down as well, until the are stopped by the step. 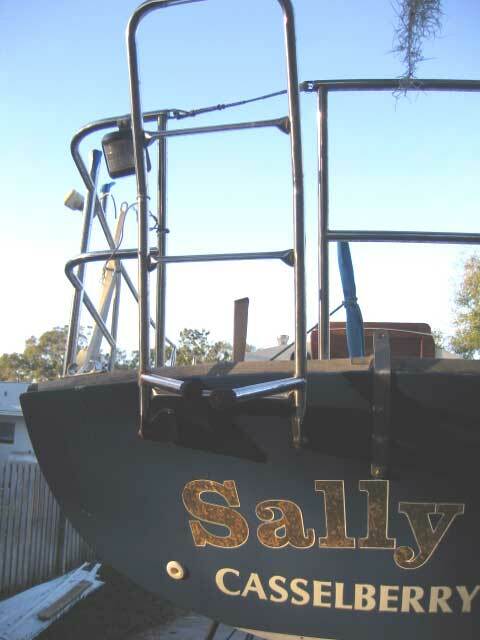 The legs rotate in against the stern and are notched to hold them in place until you raise the ladder. 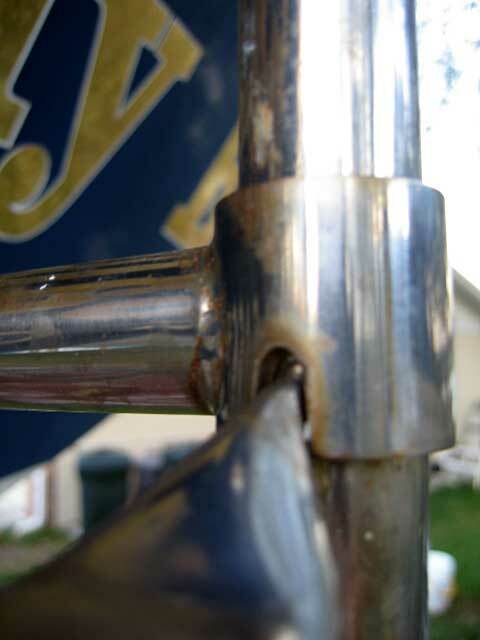 Here you can see the standoffs and the legs welded to collars that slide up and down the ladder frame. The ladder gate is opened. 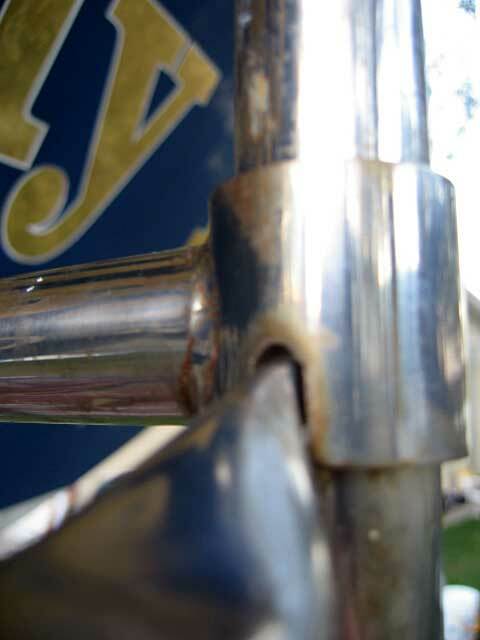 The gate is about 14-inches wide, enough to squeeze through. 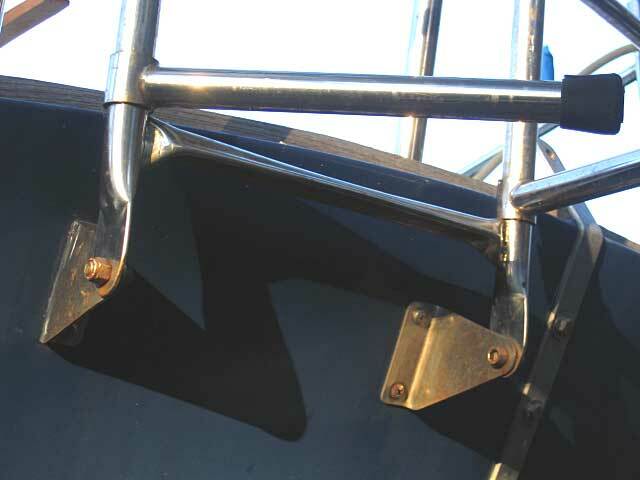 Here the legs are locked into place and brace against the stern. 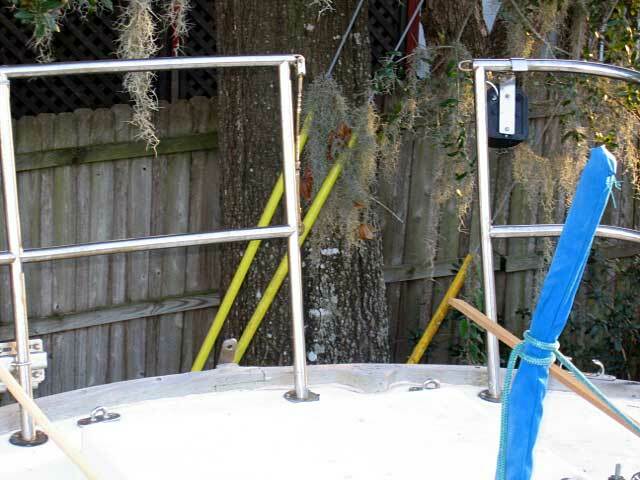 The ladder is deep enough that you can swim up to it and comfortable use the bottom step. 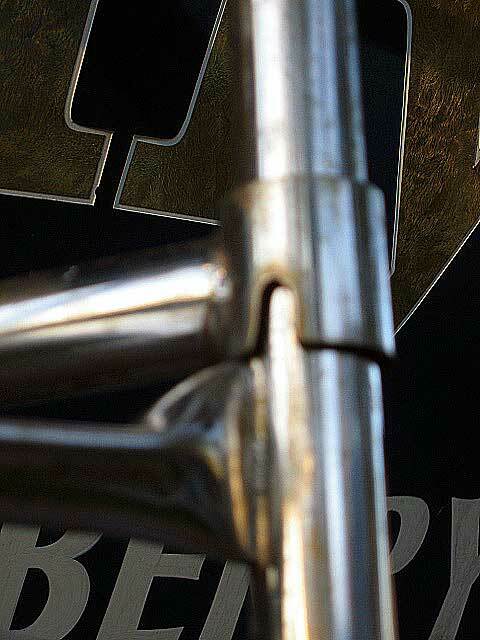 This picture shows the notch that locks the leg into place. Here, the leg is almost down into position. You can see the edge of the step fitted into the notch. And here, the leg is all the way down, locked in place. When you lift the ladder, the legs slide up the tubes, unlocking themselves from the step and you can tuck them in and secure the ladder.